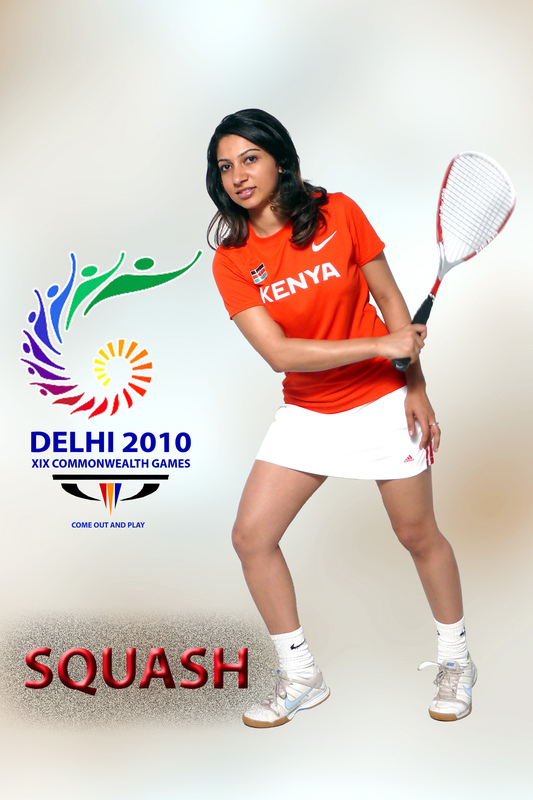 In 2008, Safina Madhani of Kenya placed first in Women’s Squash at the Golden Jubilee Games, a global Ismaili sports festival held in Nairobi. The experience launched her on the path to representing her country at the 2010 Commonwealth Games in Delhi, India. In 2008, Safina Madhani of Kenya placed first in Women's Squash at the Golden Jubilee Games, a global Ismaili sports festival held in Nairobi. The experience launched her on the path to representing her country at the 2010 Commonwealth Games in Delhi, India. The 2010 Commonwealth Games in Delhi would be the first time that Kenyan women were represented in squash, and I was determined to be part of the team. My game certainly couldn't be compared to that of Nicole David, the stoic Malaysian who has ranked first in the world among female squash players for five years running. Nevertheless, I am very passionate about the game of squash. I have been playing the game for over a decade now. Professionally, I am a lawyer, but I enjoy playing squash after a tough day's work at the Nairobi law firm where I work. The sport is challenging and requires quick reflexes, focus, flexibility and a degree of endurance. I started playing competitively in 2008 after my win at the Golden Jubilee Games that were held in Nairobi. Making the national team was certainly no walk in the park. It took a relentless four months of intensive training, during which I only allowed myself to rest on Sundays. Training also required discipline, forcing me to find that balance between the sport, my professional, social and family life. However, the hard work eventually paid off and I represented Kenya at the Commonwealth Games as the first seed; a truly wonderful experience that will be etched in my memory forever. Delhi, India's bustling capital and the host city of the 2010 Commonwealth Games was hectic as athletes, their teams and visitors from all around the world arrived in large numbers. The Kenyan contingent consisted of 240 members in total and we had our accommodation block at the Players Village. With its dining hall, concert area, mini shops, recreational games rooms, gym, swimming pool, clinics, nutrition kiosks, cafeterias and lounges dedicated to the athletes, the Village was like a city within a city. An array of cuisine was on offer, with flavours ranging from the orient to the West, together with an exquisite salad bar, desserts and a fruit section. Each food item was clearly marked up with respect to the calorie count and nutritional content. The Indians were perfect hosts and their attention to detail was incredible. Squash and badminton were played at the Siri Fort complex which was a 40-minute bus ride away from the Village. We travelled daily to our respective venues in specially designated Commonwealth lanes, which spared us of Delhi's infamous traffic. Security was very tight; we were always heavily guarded with Police cars escorting us to our venues or anywhere else outside the Village. I am honoured to have had the opportunity to represent Kenya as a squash player at the Commonwealth Games. Just as the world watched India successfully host the second largest sporting festival in the world, I am optimistic that one day their eyes will turn to Kenya, as we too host an event of this magnitude.